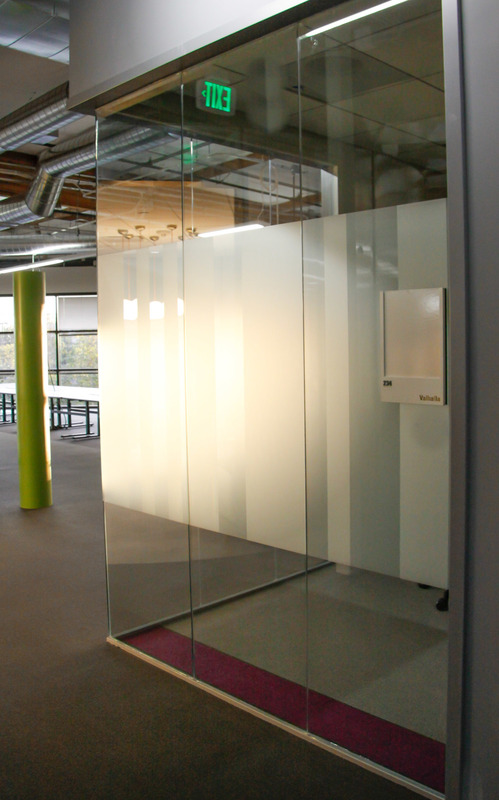 With a designer on staff, Glass Plus, can provide and install cut graphic designs or printed media for all your glass. Interior graphics can transform an ordinary space into a visually striking environment. With a designer on staff, Glass Plus, can design and install cut graphic designs for glass, printed media for glass and walls, and cut or printed graphics for your walls. Interior graphics can transform any ordinary space into a visually striking and unique environment. Get the benefits of creating your own designs, or collaborating with our staff to create a custom design for your home or office space. With the latest software we ensure production of company logos to meet exact requirements. Logos can be computer cut from a frosted or colored window film or logos can be printed onto a wide range of material including white, frosted and optically clear window film. ©Copyright 2019, Glass Plus. All rights reserved.